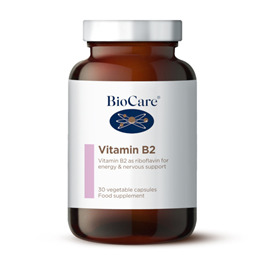 BioCare Vitamin B2 as Riboflavin is needed for many body functions including normal energy yielding metabolism, maintenance of normal skin and vision, and the reduction of tiredness and fatigue. Provides 50mg in a capsule form. Riboflavin contributes to normal energy yielding metabolism. Riboflavin contributes to the maintenance of normal mucous membranes and red blood cells. 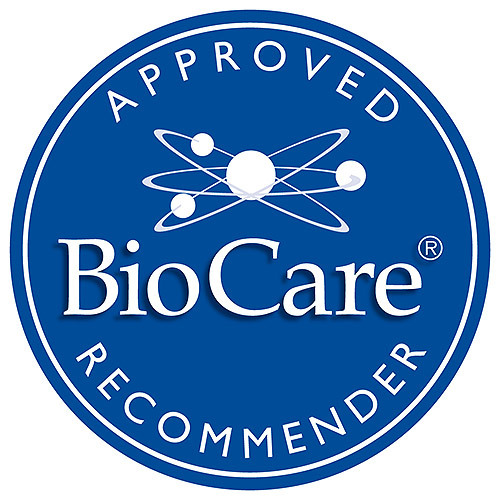 Riboflavin contributes to the maintenance of normal skin and vision. Bulking Agent (Cellulose), Capsule Shell (hypromellose), Riboflavin (Vitamin B2), Anti-Caking Agent (Magnesium Stearate). This product should not be used as a substitute for a varied and balanced lifestyle. Do not exceed the stated recommended daily intake. Do not purchase if the seal is broken. Keep out of reach of children. If you are under medical supervision, please consult a doctor before use. 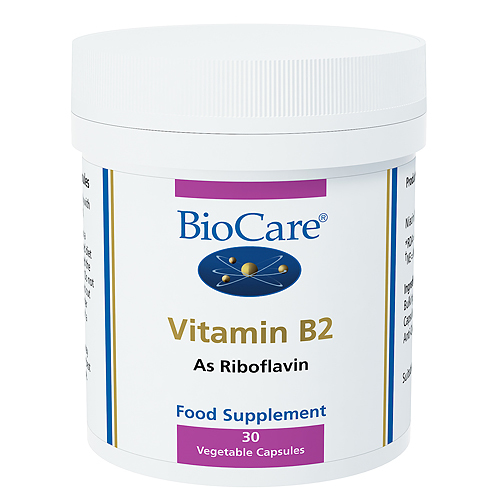 Below are reviews of Vitamin B2 - As Riboflavin - 30 Vegicaps by bodykind customers. If you have tried this product we'd love to hear what you think so please leave a review.